You’ve heard that before, right? It might sound dramatic, but it’s pretty much true. There’s more traffic from mobile devices now than there is from desktops. Mobile use is so prevalent that Google’s mobile index is now its default index. And every month, one billion of Facebook’s users access it exclusively on mobile devices. So when you think about your website, or your customers researching anything about your business online, it’s time to stop envisioning them doing it via desktop. Instead, imagine them holding a mobile device in their hand. This is the first step to having a “mobile-first mindset” or making your company “mobile-centric”. But it’s barely the beginning. So here’s how to start developing your content and your search optimization in a way that’s as mobile-focused as your customers are. The average time spent with an article on a mobile device is just 57 seconds. If you’re writing for average readers, who read at about 300 words per minute, that means you’ve got roughly 300 words to communicate your message to them before they leave your page. So what do you do? How do you convey all the information on that page in a mere 300 words? Do you just put a box at the top with a summary of the article? You certainly could. It would serve the “TL;DR” crowd well (as in “too long, didn’t read). Think you don’t have the staff to spare or a $20,000 budget for an app? Think again. You don’t need anywhere near that many resources to have a nice app anymore. $600 a year will do. The hard part is figuring out what you want your app to do. So sit down with your team and hammer out what you want customers to be able to do with your app. Have a list of essential tasks or functions, nice to have functions, and your pie-in-the-sky dream list. Then go find out which app builders can deliver at least your essential functions, and most of your “nice to haves”. Expect to do a little research. And you may have to test two or three building tools before you’ve got the right fit. A tool like the App Maker Quiz can help you find a shortlist of the best tools for your needs. Just to make things easy for you, here’s three of the best-rated app builders. Just remember: The best app builder for you may not be listed here. Did you know it’s possible to rank at position zero on Google? Yup. 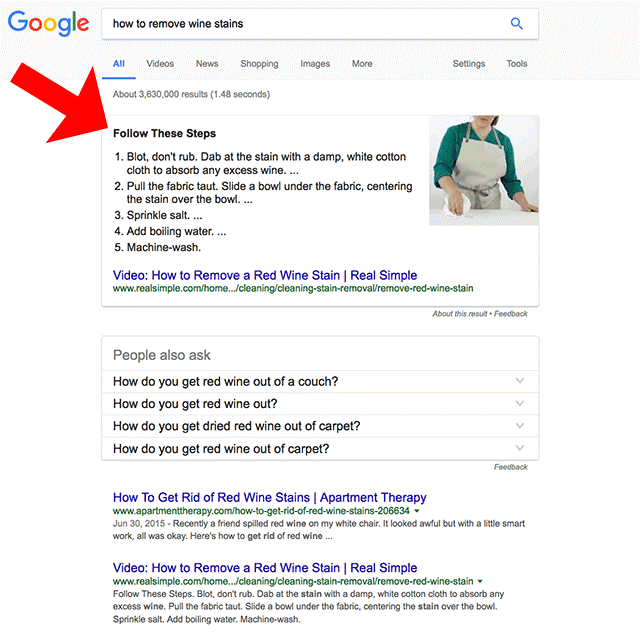 You just have to get your content into one of the rich answers boxes (aka “featured snippets”, “rich snippets” or “direct answers”) that appear at the top of some search results. Rich answers have been around for a bit, but their appearance in the search results has increased a lot in the last few years. SEOs were a little worried about the boxes at first because some people thought that by showing pages’ content in the SERPs, the site where the content came from would actually lose traffic. There was no more need to click through, after all. But now that we’ve lived with them awhile, it’s clear that getting your content into a rich answer is a boon. These boxes can drive much more traffic to your site. So how do you get your content to appear in these boxes? One thing you don’t necessarily need to land a rich answer is a high domain authority. That means there’s an opportunity here for sites that aren’t as well known. The best you can do, really, is try to follow all that advice… and then hope for the best. There is no bulletproof, “always-works” tactic. Some of your pages’ content may get picked up in the rich answers boxes. But like most of SEO work, you’ll have to be patient and keep trying. It’s well past time to be thinking mobile first. You’re no longer going to be the first company in your industry or niche to be mobile-centric – those days are long past. Now, being mobile-friendly is a basic survival requirement. So even if you’ve got a website (and I know that only about 56% of you do, it’s time to up your game and make it more mobile-friendly. FYI: It’s also time to stop ignoring search engine optimization, too… only 28% of small businesses even try to rank near the top of the search results. But don’t panic. None of what I’ve mentioned here is hard. It’s not even particularly expensive. It just requires some planning (and granted, a little more content development). 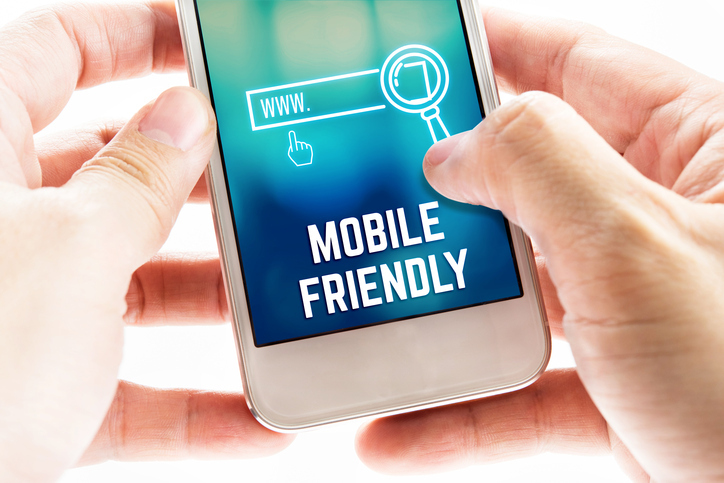 Can you say – with confidence – that your company or your content is “mobile-first”? If you can’t… what needs to get gone to get you there?